Thank you to all of our Business Annual Support Partners for donating annually to the operations fund of the Morton Community Foundation. We are extremely thankful to have such strong support from our local business community. If you would like to know how you could also become a Business Annual Support Partner, CONTACT US. Neither giving nor receiving care is easy. Home Instead Senior Care® puts relationships first to support those giving care, to protect the dignity of those receiving care, d to enhance the quality of life for both seniors and their families in every caregiving experience. If your family recognizes the value of aging in place as we do, you’ve come to the right place. Home Instead® CAREGiversSM provide compassionate and reliable home care services help keep seniors safe and independent wherever they call home. ome Instead Senior Care offers affordable in-home care services 24 hours a day, 365 days a year. You’ll work with a care coordinator at your local office to set a care schedule that works best for you and your family. JH Car Wash is located at 266 Detroit Ave, Morton, IL 61550 . Near the intersection of Detroit Ave and Detroit Pkwy. JH offers hand wash bays for both cars and large trucks, as well as 4 automated car wash bays. Vacuums are also available. We are a full service Ford dealership offering first class sales and service for our valued customers. We have been in business for 31 years at 565 West Jackson Street in the heart of Morton, Illinois. Our phone number is (800) 579-4670. If you have any questions or need to reach me, you can call the dealership’s phone number or email me at mikemurphy@mikemurphyford.com. You don't have to live in Central Illinois very long to sense there is something special about this area. Perhaps it is the family-like atmosphere in our neighborhoods and the hometown traditions that become a part of who we are. Or, it might be explained by something we call the Community experience. A Community is where our dreams come true because others around us believe in them. A Community is where an atmosphere of trust leads to a shared step forward. A Community is where working together is not just an experience, but a way of life. Morton Rotary Club meets every Thursday from Noon - 1:00 pm at the Community United Church of Christ on the corner of Main and Jackson St. Members gather over lunch to hear Rotary updates and community presentations. R.P. 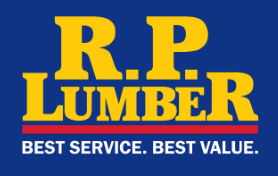 Lumber Company, Inc, located at 1635 W Jefferson St, in Morton,. is a full service retail home center and building materials supplier that offers kitchen cabinets, paint, windows, doors, hardware, plumbing, electrical, drywall, shingles and roofing products, tools and accessories, and much more. R.P. Lumber is known for providing its industry-leading Best Service and Best Value by offering full-service delivery, kitchen cabinet design, deck design, blueprint takeoffs and design, truss design and manufacturing, and much more for retail consumers, do-it-yourselfers, and professional contractors.